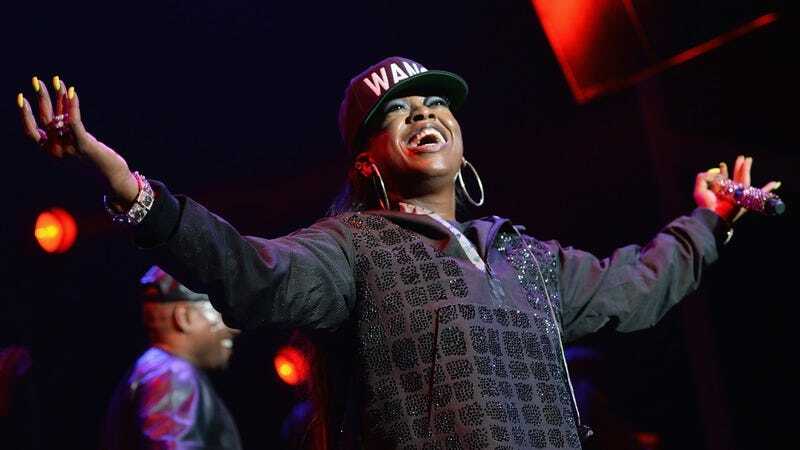 Sure, why not replace a Confederate monument with Missy Elliott? 1) Her solo debut, 1997’s Supa Dupa Fly, broke the record for the highest-charting debut for a female rapper at the time. She’s since gone on to be the biggest-selling female rapper in Nielsen Music history. 2) She overcame a thyroid disorder known as Graves’ Disease that curtailed her musical career for much of the late ‘00s and early ‘10s to stage a comeback in 2017. 3) Her music videos are, as a rule, awesome. 4) A monument has never been erected in her name for the purpose of legitimizing white supremacy. All these seem, at least to us, like good enough reasons to support a petition reported in Fact to replace a Confederate monument in Elliott’s hometown of Portsmouth, Virginia with a statue of Miss E. herself. The petition originated on the crowdsourced petition site Change.org, where Portsmouth resident Nathan Coflin calls on the city’s mayor to “put white supremacy down, flip it, and reverse it.” It’s since collected more than 22,000 signatures as of this writing, just 2,500 short of its 25,000 signature goal. This isn’t the first time someone’s had the brilliant idea to replace a Confederate monument with a black musical icon, as evidenced by the movement to add Outkast to Georgia’s infamous Stone Mountain. As for the Confederate monument that petition supporters want removed, its capstone was laid in 1876, but it wasn’t completed until 1893. It consists of a 35-foot stone obelisk surrounded by four generic figures, one of which is exactly the same as a statue adorning a Union memorial in Indiana. Basically, it’s indefensible, on multiple levels.